Death is a part of life as the book deals with miscarriage, stillbirth and infant and maternal mortality. The community pulls together to take care of the widows and orphans. Loss will either draw people to God or cause them to repel Him. No matter how hard life is, it is always best done in partnership with God. 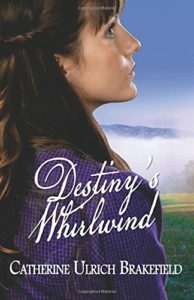 Destiny’s Whirlwind is an epic tale of love, loss, life and with godly wisdom to be gained along the way. Julia, thank you for taking time from your busy schedule to read and post this lovely review! 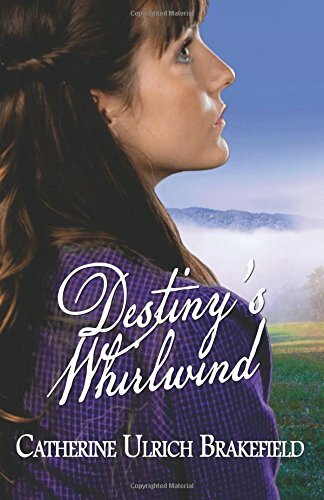 It is because of Christians liked yourself that writers like myself continue to write and proclaim the heart-felt story that our Lord and Savior places upon our hearts to tell.